We drive down to Florida once (sometimes several times) a year and make a few stops along the way. 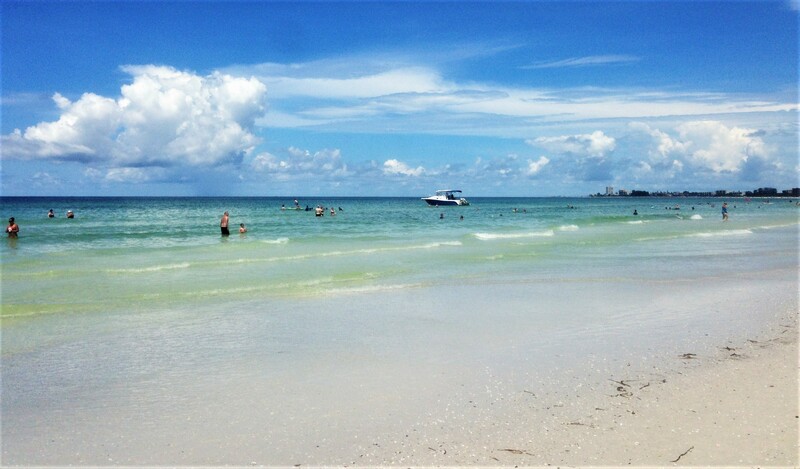 This year was no exception, and one of our new stops was Siesta Key. 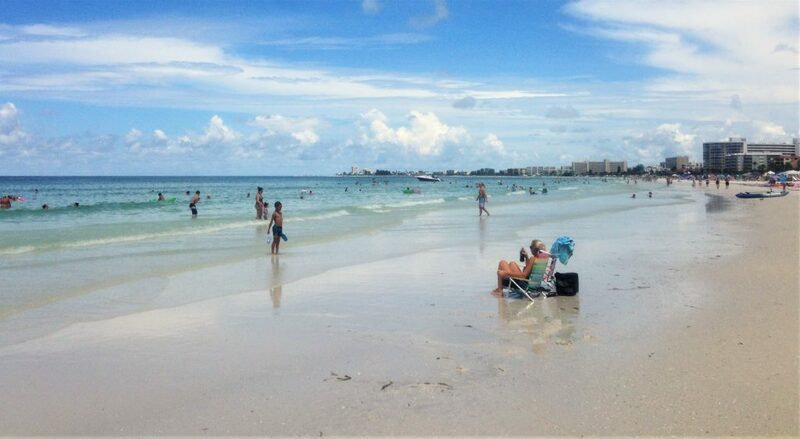 Siesta Beach has been voted the #1 beach in the US, so we had to check it out. There is also a new MTV reality show based in Siesta Key, which I am far less interested in, and the island does have a bit of a reputation for being like a little Miami. I did not find it to be the case, although I do love Miami, and I look forward to visiting the island more in depth on future drives. We really barely scratched the surface this time. We arrived in town and immediately headed to an awesome happy hour in Siesta Key Village. The Siesta Key Oyster Bar, SKOB to the locals, has $7 dozens of Gulf oysters, steamed or raw, and $7 seafood boils. They also offer oyster special selections from places like Virginia, New England, and Canada for an additional charge, and their menu is amazing. They even have high chairs that are tall enough for high tops. I have never seen that before. In addition to their oysters, which were delicious, we had their fantastic red snapper ceviche and a tuna appetizer with a side of coconut rice, shared with the baby, and were so happy with our meal despite a bit of a tantrum by a sleepy little kid. Because we were driving in and booking a room last minute, there was literally only one room left on Siesta Key proper, The Captiva Beach Resort, so I had to book it. The property was located near Point O’ Rocks and was more of a beach motel with a kitchenette, although it called itself a resort. The “resort” shared a pool with other neighboring “resorts,” but it was a quick walk to the beach as well as bars and restaurants, and the price was definitely cheap for the location. After checking out multiple beaches on the island, I would consider booking in this area again (although not this property because they had a ridiculous 10 am checkout time) because the beach was one of the prettiest and least crowded. Point O’ Rocks is an area next to a retaining wall that is flush with water at high tide, but at low tide, you will find exposed rocks that you can explore, perfect for seashell collecting and marine life viewing. The beach around Point O’ Rocks was a lovely aquamarine on white sand, and you could see the whole stretch of the island north of the wall. The beach was pretty crowded with families while we were there, but I would love to return when it is more peaceful in September when the kids go back to school. We ducked into a restaurant close to the hotel at the end of our quick stay on the island. 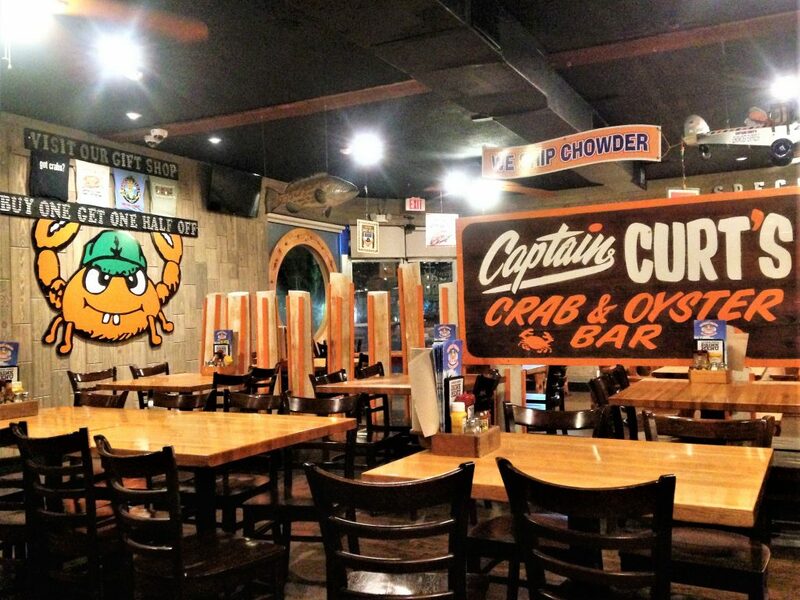 Captain Curt’s Crab and Oyster Bar had it going on. They’re famous for their award winning clam chowder, which they will ship around the US, and you could get every seafood item in a small, medium, or large form, depending on how hungry you are. We got more oysters, a file fish sandwich (mild, flaky, white fish), and a platter that came with shrimp, scallops, file fish, and a deviled crab. The tartar sauce was made in house and was so good. More creamy than mayonnaise heavy with added dill. Great find! 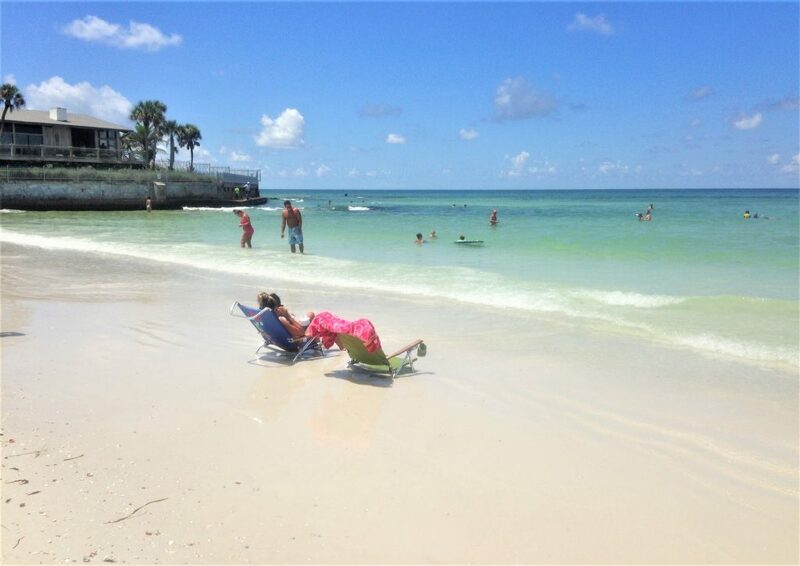 Most of our 12 hours in Siesta Key was unfortunately spent resting from the drive, but I do feel we got a nice taste of the island and know how to better plan our next trip. I would like to try to stay near Siesta Key Village at least once, but staying near Point O’ Rocks definitely has its advantages. There are also tons of restaurants to try and sights to see, and next time, we will have to build in more time to enjoy the beach. For now, we’re heading further south! What a great stop over!! !